While international treaty negotiations about problems associated with intellectual property (IP) and Indigenous peoples’ traditional knowledge have made headway, there are still problems that continue to be experienced by Indigenous individuals, families, clans and communities. It is necessary to focus on the development of practical, strategic solutions to very specific IP issues facing Indigenous peoples. One of these foci is how to deal with the ownership, access and control of both cultural material that has been previously documented and recorded and now resides in cultural institutions worldwide. Another involves uses of those cultural materials by Indigenous peoples and communities for community-based archival projects, for cultural heritage preservation purposes, and for projects where Indigenous communities maintain a leading role in determining what cultural traditions and practices can be shared with audiences outside the community. 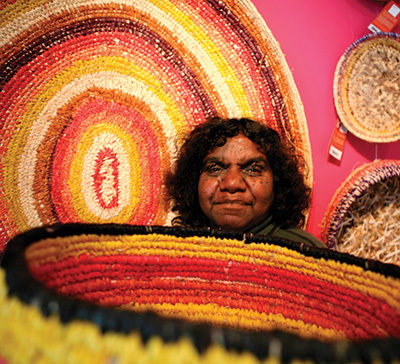 Indigenous Australian material can be found all over the world including in Sweden, Germany, the United Kingdom, the United States and Spain. This makes the problem of ownership and access to these materials international in scale. As Indigenous peoples have increasingly located these often disparate collections and demanded legitimate access, cultural institutions are faced with the task of how to adequately deal with these collections in terms of recognising the conditions that led to their creation, and in creating new possibilities for renegotiating their access and control. Following international dialogue concerning traditional knowledge we are developing a set of legal licences and educative labels to support Indigenous, traditional and local peoples' rights to maintain, control, protect and develop their cultural heritage, traditional knowledge and traditional cultural expressions. The (US based) TK Licences and Labels Platform is an initiative we have developed to respond to local community needs in relation to the management of valuable cultural knowledge resources. While standard copyright, moral rights and the licences offered by Creative Commons may work for certain types of material and under certain circumstances, we have found that they do not always adequately respond to Indigenous expectations of how cultural knowledge is to be accessed, shared, circulated and reproduced. The TK Licence and Label Platform seeks to respond to the problems mentioned here and to do so by strategically combining legal and non-legal approaches. It is intended to be an online and accessible website that will lead to several new licence options for Indigenous creators, custodians and beneficiaries to manage their community-owned and generated cultural content. Options include the acknowledgement of the source community or communities with the work; non-commercial-use of traditional cultural expressions; commercial-use of community owned material and an option for works to be shared and used in educational contexts only. In general the TK licences incorporate several key concerns for Indigenous peoples that have been missing from copyright (including moral rights) and CC models. These include attribution of the source community alongside that of the copyright owner and any moral rights attribution; direct negotiation over the integrity of the work when used in a commercial context; and, the negotiation over reciprocal benefits from uses that arise from instances of specific sharing and community-controlled outreach. Importantly the licences are for Indigenous individuals, families and communities who are the original legal copyright holders of the material, or alternatively have had copyright assigned to them. All the licences have two key components with directives for both those who maintain the rights and those seeking to use the materials under the licence. By describing and defining the rights and expectations of both the TK holders and users, we hope to highlight the reciprocal nature of any and all uses of these materials. We seek to create a dynamic space for robust community use, created by the Indigenous individuals and communities themselves. Alongside the licences we have developed a range of specific educative labels. The TK labels rely on community-determined interpretations of what constitutes the fair and equitable use of materials. While they are not legally enforceable, we hope that they will go a long way towards informing the ‘public’ about what, for Indigenous communities, constitutes the fair and equitable use of their traditional cultural knowledge and cultural heritage materials. The aim of the labels is to include missing information that should always have been accompanying recorded, documented and archived materials. For instance, if a non-Indigenous musician comes across a public domain sound-recording at the Smithsonian Folkways website that has the Community-Only Men-Restricted Label (TK+CU+MR) explaining that the content has been designated as containing men’s secret ceremonial material, that musician is given important information that will help her make an ethically, culturally appropriate and fair decision about the best way of using that material. With the label, she is given more information about cultural conditions governing use of the material and is therefore more likely to respect the conditions of access and use requested by her as a user. With contact details accompanying the label she is also more likely to engage in a dialogue with the original owners/custodians about what, if any, use is actually appropriate. Thus the label works to help prevent or limit misuse and derogatory treatment of traditional cultural expressions. A TK label can be generated and added to a work by Indigenous individuals, family, clans and communities independently. Since so many institutions are beginning to work more closely with communities, these labels reflect the collaborative environments that are developing between institutions and communities as part of repatriation and digital return agendas. Fair and equitable TK labels almost by definition and necessity require mutual dialogue and conversation in order to develop the most appropriate labeling options. The TK licences and labels follow key principles established in the 2007 Declaration on the Rights of Indigenous Peoples. Following national and international dialogue concerning traditional knowledge, this project is concerned with the development of a set of legal and educative licenses and labels to support Indigenous, traditional and local peoples' rights to maintain, control, protect and develop their cultural heritage, traditional knowledge and traditional cultural expressions. Initial funding for the TK Licence and Label Platform comes from Intellectual Property in Cultural Heritage: Law, Policy, Ethics – a Canadian Social Science and Humanities Research Council project and the World Intellectual Property Organization. Jane Anderson is an Assistant Professor at the University of Massachusetts, Amherst and an Adjunct Professor of Law at New York University. She was recently appointed as Senior Research Scholar at the Institute of Intellectual Property and Social Justice at Howard University School of Law. Kim Christen is an Associate Professor in the Department of Critical Culture, Gender and Race Studies and the Director of Digital Projects at the Plateau Center for American Indian Studies at Washington State University and the Project Director for Mukurtu CMS (www.mukurtu.org).